Reel stands / Cable Drum stands MOD.040/.. Stringing Equipment: Izumi Products. 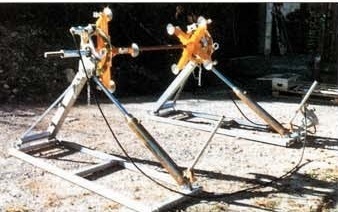 Reel stands / Cable Drum stands MOD.040/..
reel stands suitable for lifting the drum and paying out the cable with a controlled inertial rotation movement. 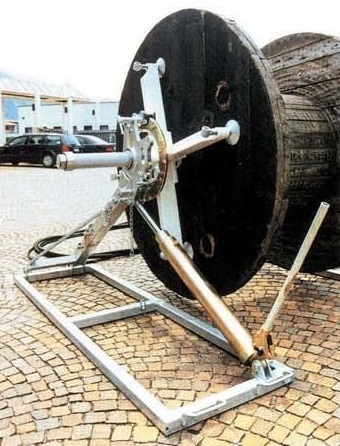 Independent brake control system for hydraulic pumps of 12 ton capacity. 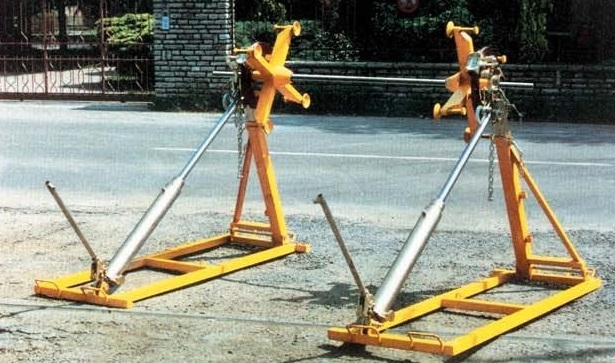 mechanical ledge on hydraulic jack system must be specified. All options need to be specified at quotation stage.